I’m in love with this fun and whimsical cake. 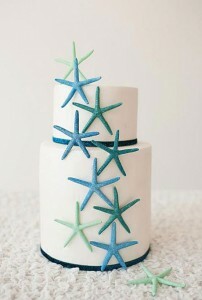 The bright white icing is the perfect backdrop for those adorable gumpaste starfish. This cake would be so fun at a beach reception or even a tropical themed wedding. Don’t you want to daydream about summer now too? 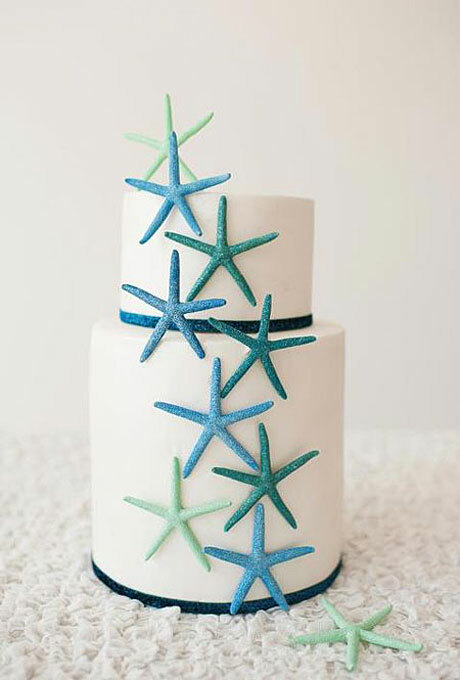 We just love this beach-inspired cake! You can see it here. It was created by Crumbs of Comfort Cake Design in Australia!